The Recurring Bookings addon allows customers to create recurring bookings with the help of WooCommerce Subscriptions plugin. Note: Each image has pointers in red in the form of arrows & accompanying text. Please click on the image for an enlarged view of the screen or to view the pointers completely. 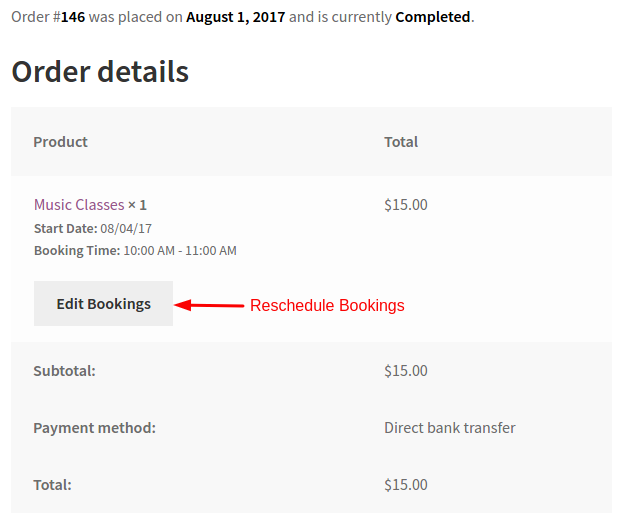 Recurring Bookings addon requires Booking and Appointments plugin and WooCommerce Subscriptions to be installed. Enter the license (you might have received after purchasing the plugin) at Booking->Activate Recurring Bookings Addon License. After saving the changes, clicking on Activate License will activate the license for the plugin. Updates for the addon will only be available for valid licenses. 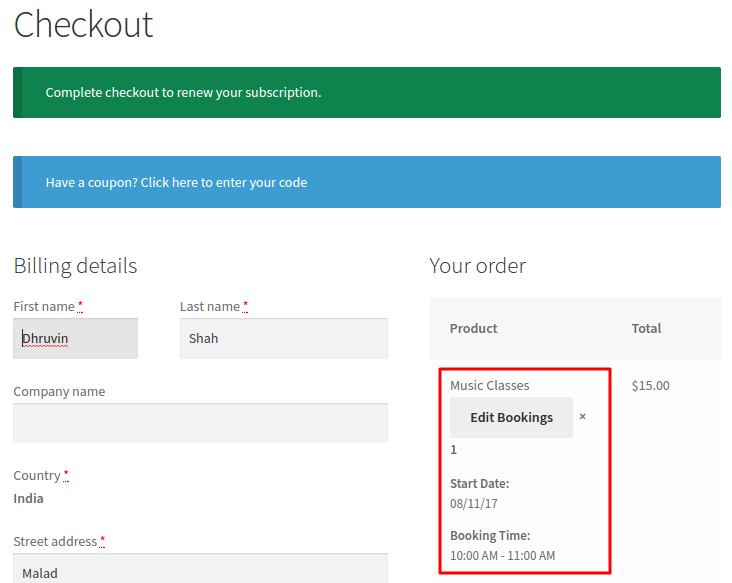 These booking types can be used to create recurring bookings with your Simple Subscriptions as well as Variable Subscriptions. 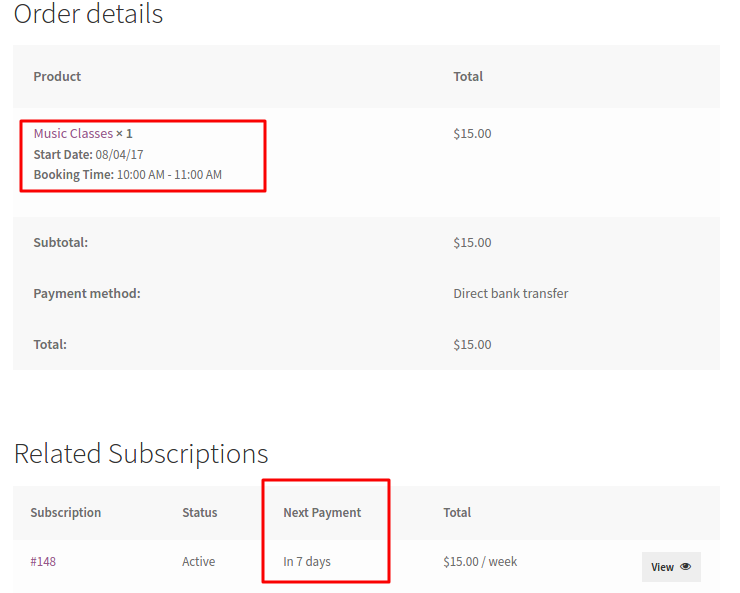 Let us consider an example of recurring booking for date and time slot based booking for a simple subscription. 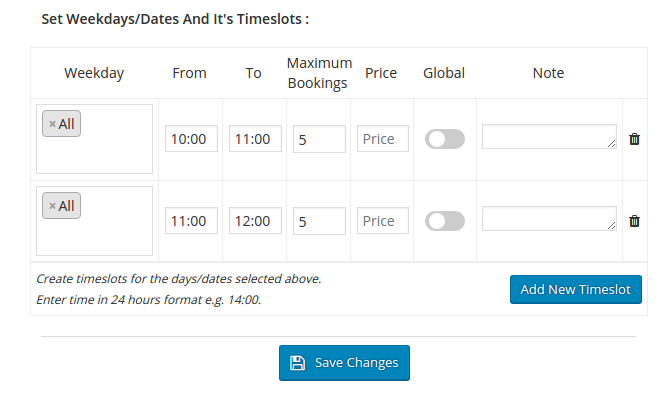 The Booking details need to configured based on the booking type for which you want recurring bookings. Here we will select Date & Time since we want the course to have classes once a week based on a particular day and time slot. Now we shall be configuring other options for our weekdays and time slots. Clicking on Availability tab gives us the options to add multiple configurations for a particular day and time slot. Now we shall be adding lockouts for the time slots we have added so that we have fixed bookings for that time slot. Customers will not be allowed to book for that time slot once the count is reached. As displayed above we have 2 time slots for all the days and we have maximum bookings for each time slot as 5. Once 5 bookings are done or if the quantity reaches 5 while placing the order, the time slot will not be available for further booking. Maximum bookings count will also work with Variable Subscriptions or with Simple Subscriptions with Attributes. 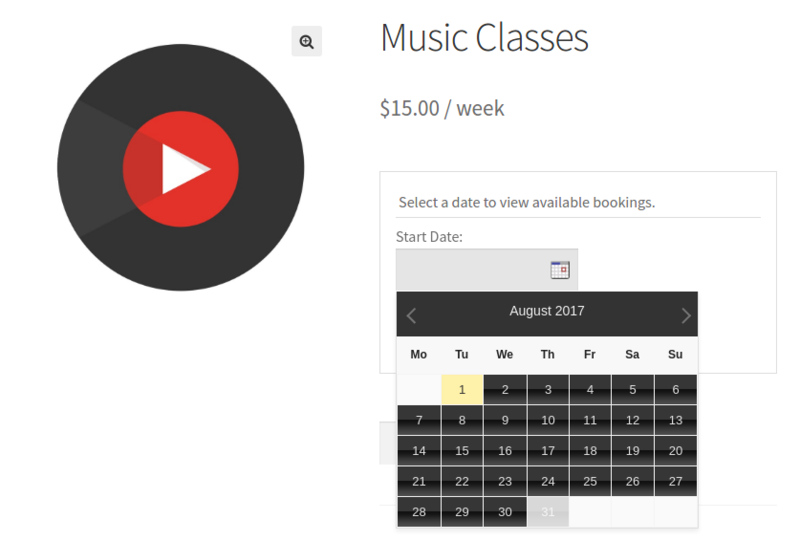 The music course subscription is set to go and can start receiving recurring bookings. 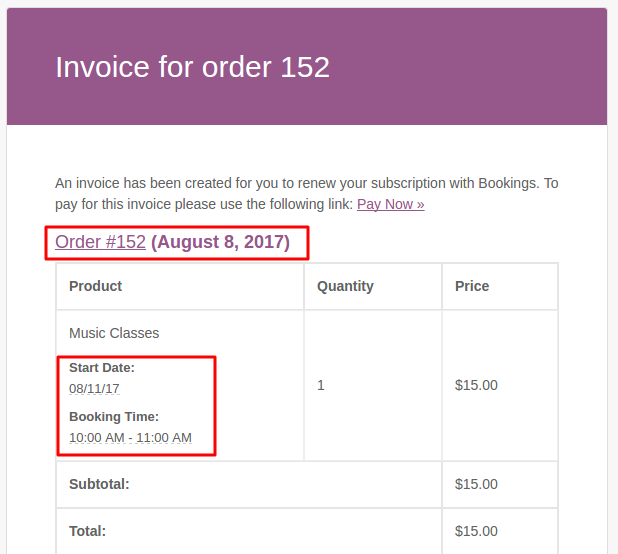 Now as per WooCommerce Subscription plugin, a renewal order will be created on 8th August 2017. This renewal order will have booking details one week after last order booking details (since we had subscription period as weekly) i.e. 11th August 2017 from 10:00 AM to 11:00 AM. 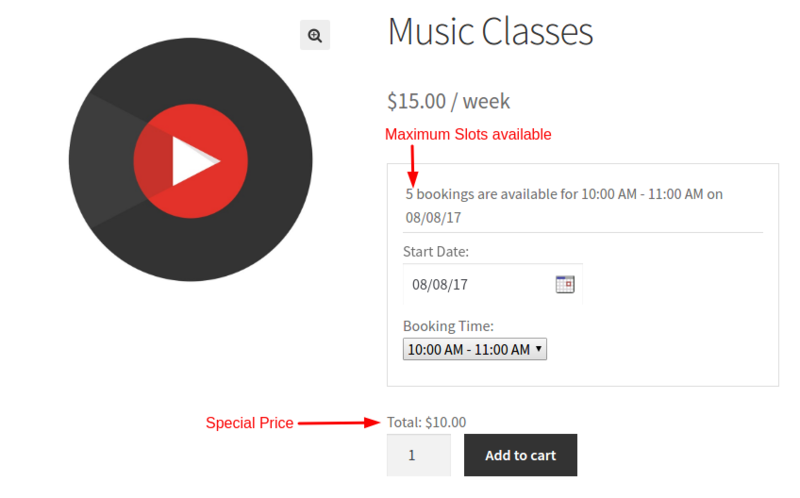 If the payment for subscription is set to automatic the booking will be automatically generated and added to the completed order. If the payment for subscription is set to manual, customers will receive a Pay Now link in the email which will redirect to checkout page. On clicking Pay Now will redirect to checkout page. If edit bookings setting is enabled on Booking -> Settings page the customers will have the flexibility to edit these bookings for renewal orders. Along with the option to edit bookings for manual renewal of orders, customers can also be provided the flexibility to reschedule these bookings from My Account page. This setting can again be modified from Booking -> Settings page. Shop manager can enable or disable this flexibility and also set the number of days before which reschedule can be allowed. 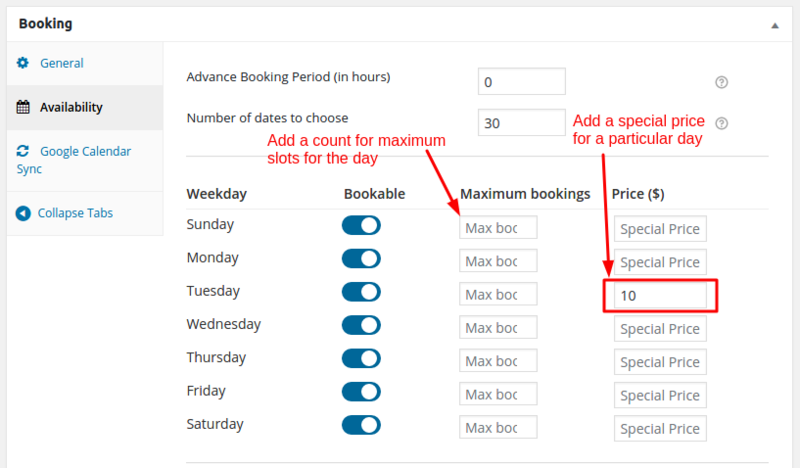 If you want to configure recurring bookings for other booking types then the process is similar to the one mentioned above. However detailed steps about the other booking types can be found here.